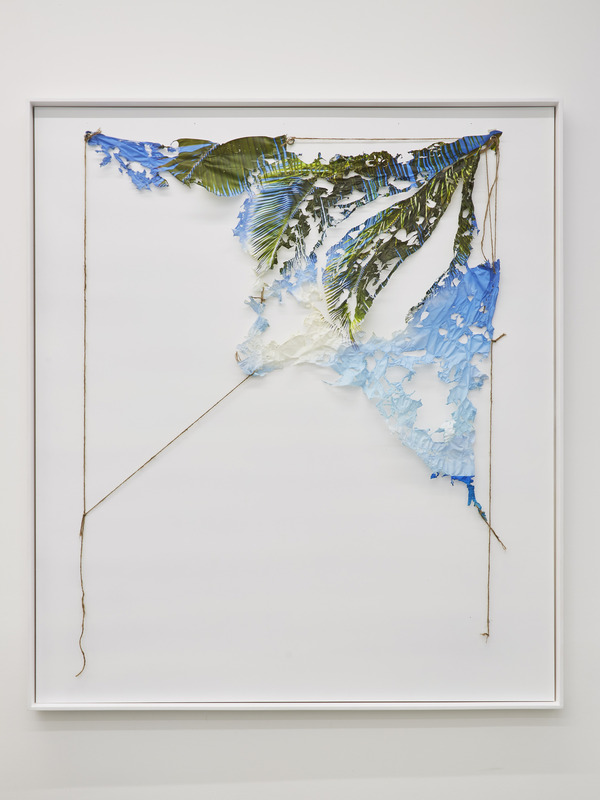 Arielle Falk BERMUDA TRIANGLE 2016, commercially manufactured inkjet wall mural manipulated by heat gun, twine, 54 x 36 in. 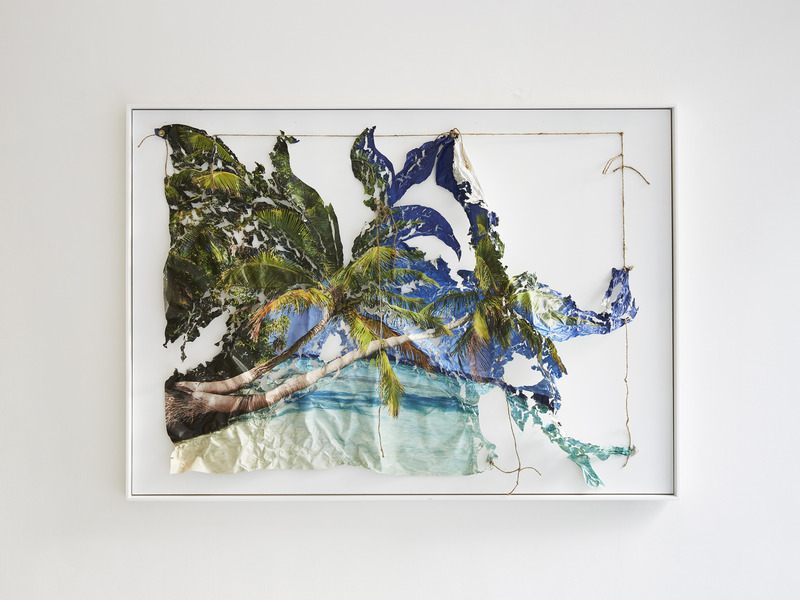 Arielle Falk, PARADISE AT MALDIVES, 2016, commercially manufactured inkjet wall mural manipulated by heat gun, twine, 50x55 in. 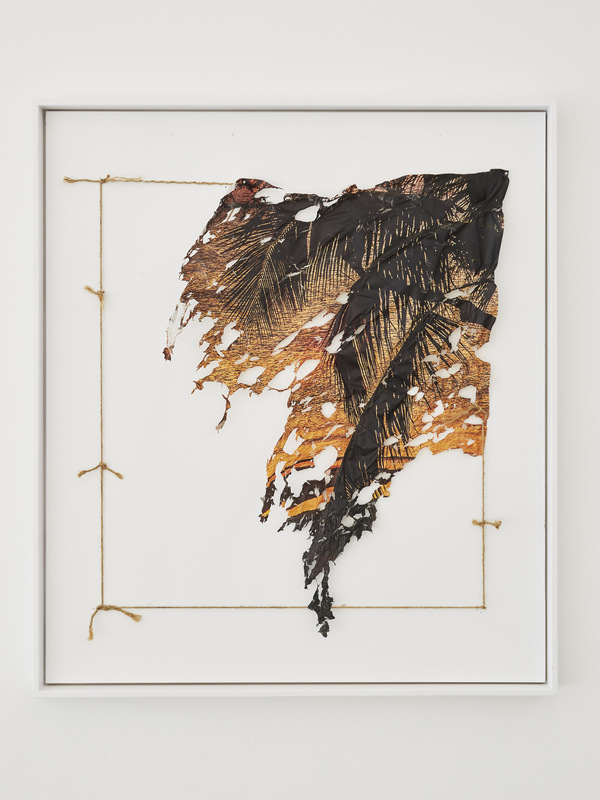 Arielle Falk ,SUNSET BEACH AT KONA IV, 2015, commercially manufactured inkjet wall mural manipulated by heat gun, twine,29 x 24 in. Arielle Falk (b. 1983 Washington, DC, USA) is an American artists that lives and works in Brooklyn, NY. Falk finds and prints stock images of paradise—usually pictures of idyllic, unpopulated beaches—as large banners, which she then weathers with a heat gun. The pictures, which usually serve as backdrops for inspirational or seductive advertisements, are here rendered as artifice/artefact through their time-worn appearance, which subtly undercuts their intended usage.